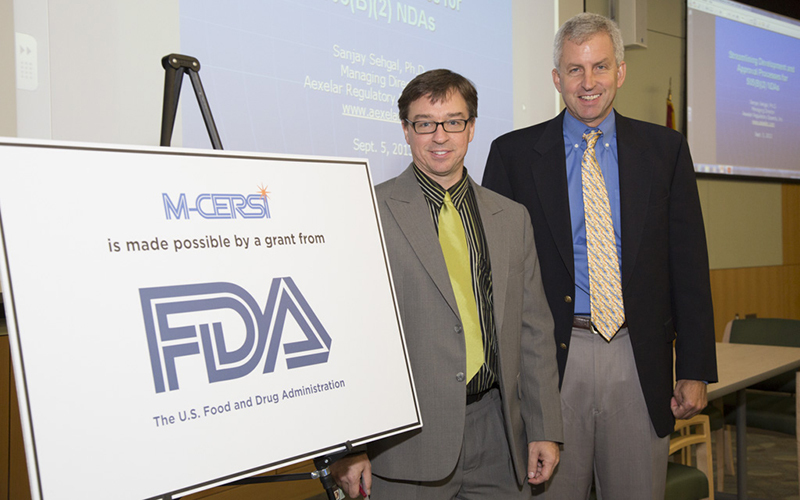 The Center of Excellence in Regulatory Science and Innovation (M-CERSI) is funded by the U.S. Food and Drug Administration. The center focuses on modernizing and improving the ways drugs and medical devices are reviewed and evaluated. This center is a collaborative partnership between the University of Maryland, College Park, and the University of Maryland, Baltimore. Researchers from both campuses work with FDA staff to support the development of new tools, standards and approaches to assess the safety, efficacy, quality and performance of FDA-regulated products. addressing minority health and health disparities. Through M-CERSI, researchers are addressing pre-clinical assessment focusing on membrane transporters in drug development. Membrane transporters allow nutrients and drugs to move throughout the body. However, these doorways can be the basis for drug-to-drug interactions. 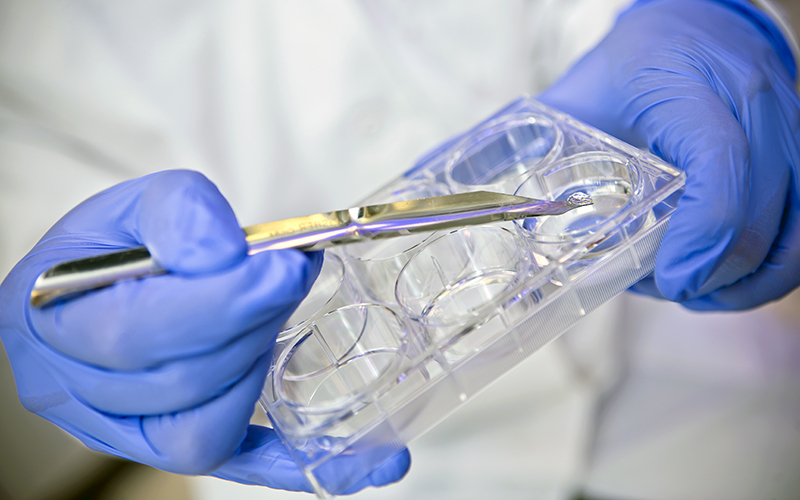 Ensuring readiness to evaluate innovative and emerging technologies will contribute to the scientific underpinning of two device-related product areas: laser-based therapeutic devices and tissue engineering constructs. Harnessing diverse data through information sciences to improve health outcomes is an important goal, as well as focusing on patient prescriber agreements (PPAs) of prescription opioid analgesic drugs. PPAs are contracts between prescribers and their patients to identify expectations of the prescriber and the patient. The Center also sponsors seminars and workshops, as well as an open public forum to promote regulatory science exchange, bringing together a network of experts from academia, industrial consortia and FDA scientists. The center’s co-principal investigators are Dr. William Bentley, UMD Fischell Department of Bioengineering Professor and Director of the Robert E. Fischell Institute for Biomedical Devices, and Dr. James Polli, the Shangraw/Noxell Endowed Chair in Pharmaceutical Sciences at the University of Maryland’s School of Pharmacy.